I had the pleasure of interviewing Christine Peters. Since Christine arrived in Los Angeles from London as Vice President of Foreign Sales and Distribution for the Intercontinental Releasing Corporation, Peters has worked her way up the ladder to her current post as head of CFP Productions, based on the Paramount lot, where she continues to develop a broad slate of feature films. The daughter of a General Motors executive who lived in a variety of different countries, Peters calls her background “unusual, but great,” learning to speak seven languages. Her grandmother, a concentration camp survivor, is her biggest inspiration. In the ’80’s, Peters became a story analyst for the Guber-Peters Company, playing a critical role in the development of such films as The Witches of Eastwick, Gorillas in the Mist and Batman. Soon after, she landed a four-year production deal at Sony Pictures, where she worked alongside such women producers as future colleague Obst (Sleepless in Seattle) and Wendy Fineman (Forrest Gump), working on such projects as Africa (written by Eric Roth), Tango & Cash (Sylvester Stallone, Kurt Russell, Teri Hatcher) and Money Train (Wesley Snipes, Woody Harrelson, Jennifer Lopez). 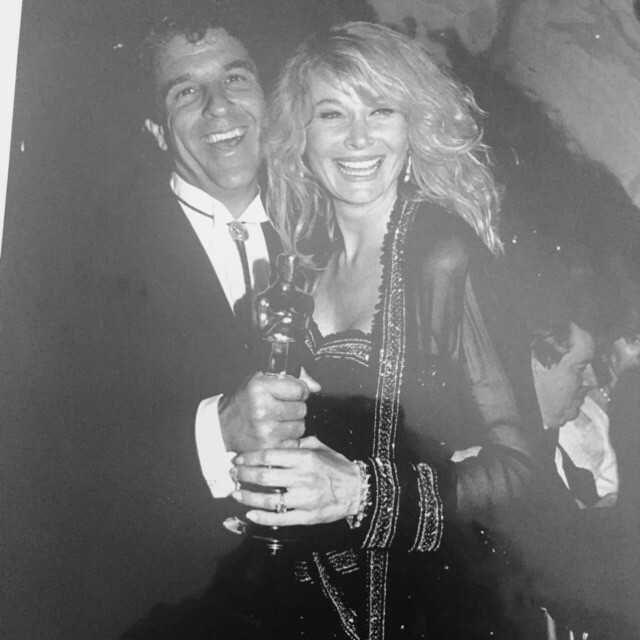 In 1991, she formed a partnership with legendary producer Robert Evans (Chinatown, The Godfather), and they set up their production company at Paramount. During their 10-year partnership, Peters and Evans developed a diverse slate of feature films that include The Saint (Val Kilmer), Jade (David Caruso) and The Out-Of-Towners (Steve Martin, Goldie Hawn). In 2004, Peters produced the international hit How to Lose a Guy in 10 Days, which starred Kate Hudson and Matthew McConaughey. 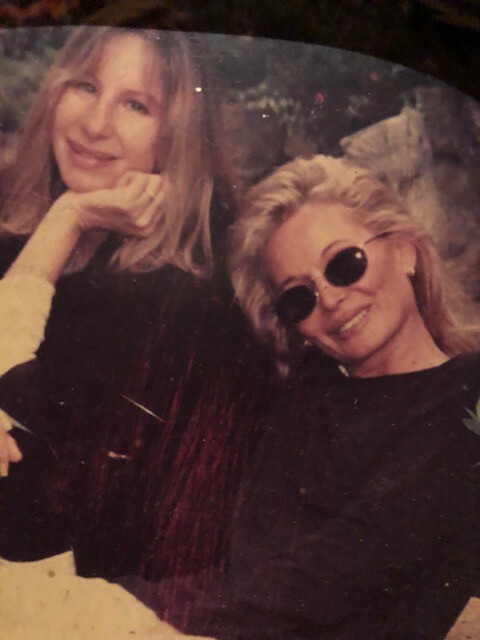 Since then, she has proven remarkably multi-talented, serving as the West Coast Contributing Editor for Tina Brown and Miramax’s Talk Magazine, while brokering several deals with Warner Books and Talk Miramax Books. Peters is also mom to her two daughters: Skye, an up-and-coming director, and Caleigh, a studio executive. I was recruited from London to a foreign distribution company as Vice President of Foreign Sales and Distribution and then joined the Guber-Peters company as a behind-the-scenes development executive. I worked on blockbusters Gorillas in the Mist and Batman, as well as the Oscar-winning best picture Rain Man. After these successes, I got my own production deal with Sony and oversaw production on films such as Batman Returns, Tango & Cash, Money Train and Bonfire of the Vanities. 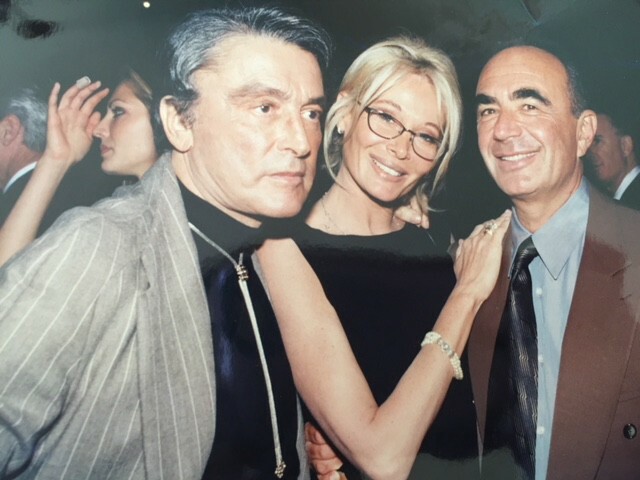 I then formed a partnership with legendary producer Robert Evans at Paramount to produce movies like Jade, The Saint, The Phantom, The Out-of-Towners, and How to Lose a Guy in 10 Days. Most recently, I’ve launched Marmont Lane Entertainment, a production company focused on development and production of a slate of female-empowered, romantic comedies. The 1st day we were shooting How to Lose a Guy in 10 Days, Matthew McConaughey pulled me aside and told me he needed to speak to me. Now, it’s never a good thing when one of your stars asks to speak in private on the day you’re scheduled to start actually doing everything you just spent months planning — sometimes fighting tooth and nail — to create. So I brace myself, mentally running through the 3D chessboard of the production, thinking through all the pieces he may move and what we would need to do to recover and stay on schedule — and while I’m sitting there fixing all these problems that don’t even exist yet, he tells me in most troubled version of that sweet, steady, Matthew voice that I’ll ever hear, that he’s really worried about his Long Island accent, and maybe his character could be from Texas, instead? I wish all of the issues I have to deal with could be that sweet and sincere. We put women on screen as the protagonists of own their stories. Look at last year’s Oscar nominations. Another movie about Daniel Day-Lewis. Another movie about Gary Oldman. Another movie about the British military in WWII. Even in the one billed as the story of Katherine Graham and the Pentagon Papers, the movie ends up focusing just as much on the influence of Tom Hanks’ Ben Bradlee and Bradley Whitford’s Arthur Parsons as it does Streep’s Graham. We stand out because we don’t compromise our commitment to putting women for women on the big screen, even when that doesn’t necessarily fall on the beaten path to box office or Academy success. I can certainly name a few. Robert Evans — After working at Warner Bros. and Sony with my ex-husband Jon Peters, I was offered a position in Robert Evans’ company at Paramount where we made Jade, The Saint, The Phantom, The Out-of-Towners and, last but not least, How to Lose a Guy in 10 Days. Sumner Redstone — One of the most important lessons Sumner ever taught me was the simple phrase “stay the course” no matter what. His wisdom and guidance were the most valuable lessons as I swam in the shark infested waters of Hollywood. Sherry Lansing : My biggest mentor, a woman, a solid guide and support that I was so fortunate to have in my career. She is not only incredibly wise and able to tap into her female intuition, but also a dear and loving soul. When I came in with a stick figure book called “How to Lose a Guy in 10 Days,” Sherry was the only head of a studio that saw what I saw, and together we managed to climb the hurdles of naysayers and produce a hit. I will always be grateful to her. Every project is exciting, but right now we’re in pre-production on the 1st movie in the Marmont Lane slate, Best Enemies, and there isn’t a day in the office without some excitement around it. Whether it’s working with our director, Rob Minkoff, to shine a light on any dark corner left in the project or seeing our two female protagonists slowly come to life on and off the page, I am really excited to share this story with anybody who already sees women as the heroes of their stories, too. I like to take care of people. I always have, and no matter how successful I am fortunate enough to become, I always have a soft spot for animals, especially dogs. I have five rescue dogs. I planned on having maybe one — I literally picked her up myself as she was running down the 101 — but when the others appeared in need there was nothing I could do. They needed me, they found me, and I love knowing that they’re living safe, happy lives as much as I love each of them as quirky little individuals. I have two beautiful daughters that bring me so much joy watching them become independent, strong women as they continue to evolve. My mom wrote a book abut her experience in a concentration camp in the Dutch East Indies during the Japanese occupation in 1941, and to this day I am still floored by the experience this person I know better than almost anybody in the world has always lived with. It’s also the story of an aspect of World War II that is rarely covered in the West, and that few people even know happened! When I tell people that my Mom was in a concentration camp, the first thing they always tell me is, “ I didn’t know you were Jewish!” It is such an important link to a nearly-forgotten past, and a true story of how — through family separation, physical and emotional abuse and unending inhumanity — a little girl manages to build and maintain hope, faith and love within in an incarcerated community through her passion for ballet. Separately from the slate of romantic comedies we’ve developed at Marmont Lane Entertainment, we are in the process of developing this story — and this dusty corner of history — for the big screen. What are your “5 things I wish someone told me before I started my company” and why. You can find the stories behind all of these pieces of advice in my upcoming book.